One church member said to be in critical condition. 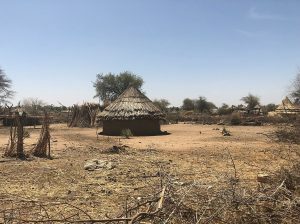 JUBA, South Sudan (Morning Star News) – After torturing them and threatening to charge them with serious crimes, authorities in Sudan have released 13 Christians arrested in the Darfur Region, sources said. Personnel from Sudan’s National Intelligence and Security Services (NISS) released 12 of the Christians by Sunday (Oct. 21) and freed church leader Tajaldin Idriss Yousif on Monday, all without charges, but they threatened to charge the native Darfur evangelist and others with apostasy, public disturbance and crimes against the state, sources said. The 13 Christians from four different house churches were worshipping together on Oct. 10 in Nyala, capital of South Darfur state in western Sudan’s Darfur Region, when NISS officers disrupted the service and arrested them, sources said. NISS authorities did not give any reason for the arrests, but sources said they are targeting converts from Islam from Darfur and, in south-eastern Sudan, South Kordofan state. Three of the Christians were said to be from the Nuba Mountains area in the country’s southeast. Along with team leader Yousif, arrested were members of his church Alfadil Ismail Alnil, Ahmed Mohammed Hassan, Neseraldin Osman, Shemen Ahmed Shemen and Abubaker Biri. Other Christians arrested were identified only as Kamal, Abdullah, Mutasim, Mujahid, El Sadik Afendi, Bolis Suliman and Abdel Maseh. NISS, widely known as a notorious agency staffed by hard-line Islamists, may hold people in detention for up to four and a half months without charges. 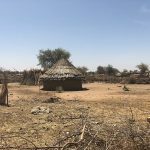 Sudan ranked fourth on Christian support organization Open Doors’ 2018 World Watch List of countries where it is most difficult to be a Christian.